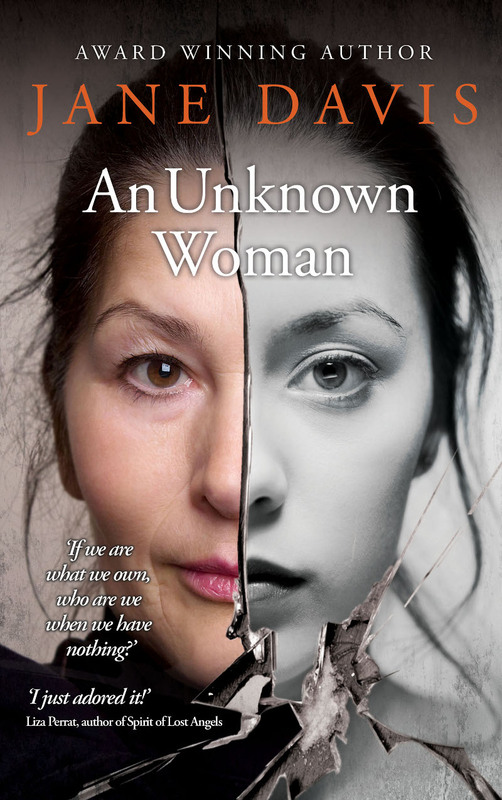 I am thrilled to welcome writer Jane Davis to my blog, author of The Unknown Woman, a book I read recently and can recommend. Jane Davis is the author of six novels. Her debut, Half-truths and White Lies, won the Daily Mail first Novel Award and was described by Joanne Harris as ‘A story of secrets, lies, grief and, ultimately, redemption, charmingly handled by this very promising new writer.’ The Bookseller featured her in their ‘One to Watch’ section. Five further novels have earned her a loyal fan base and wide-spread praise. Regularly compared to more seasoned authors such as Kate Atkinson and Maggie O’Farrell, Compulsion Reads describe Jane as ‘a phenomenal writer whose ability to create well-rounded characters that are easy to relate to feels effortless.’ Her favourite description of fiction is ‘made-up truth’. Jane lives in Carshalton, Surrey, with her Formula 1 obsessed, beer-brewing partner, surrounded by growing piles of paperbacks, CDs and general chaos. When she is not writing, you may spot Jane disappearing up the side of a mountain with a camera in hand. Q: Please say something about your writing journey to the present day. My first novel (hidden away under lock and key) earned me the services of an agent and the praise, ‘Jane, you are a writer’, but not a publishing contract. My second novel had been sitting in my overworked agent’s ‘in’ tray for several months when I attended the Winchester Writers’ Conference in June 2008. It was there that I learned about the Daily Mail First Novel Award. With the closing date for entries only two days away, I had nothing to lose. My incentive for entering wasn’t the thought of winning. It was the promise that all entries would be read. I left my job of twenty-three years the following September, jaded from having had to make so many colleagues redundant. Every time I turned on the television there was talk of financial doom and gloom. Then came the call from Transworld announcing that I had won. It was surreal. Because I was on my own, there was no one to ask, ‘Hey, did that just happen?’ I phoned back just to be sure. The following weeks were heady. The Bookseller included me in their ‘One to Watch’ section. Joanna Harris, an author I admire enormously, described me as a ‘promising new writer.’ I was going to be The Next Big Thing. In a year when fiction sales plummeted, Half-truths and White Lies, sold reasonably well. Then, in 2009, came my reality check. Transworld exercised their right to ‘first refusal’ of my follow-up novel. The reason? It wasn’t ‘women’s fiction’. I hadn’t appreciated (and no one had thought to explain) the implications of being published under their Black Swan imprint. I had been pigeon-holed – and my new work didn’t fit. Parting company with my agent, I sought new representation. Rejection letters flattered. My writing was not for them, but with my credentials, I would be snapped up. For a while, I believed them. Over the next four years, I produced two further novels. Had I been under contract, I would have been chasing deadlines. Instead, with the luxury of time, I added layers to plots, depth to characters and a real sense of time and place. 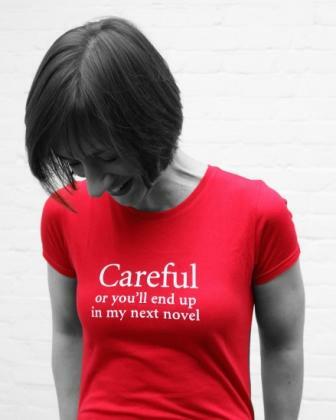 As Hugh Howey said at the London Book Fair, authors should enjoy their anonymity. By 2012, I was touting three novels around the market. Believe me, this is not a position you want to be in. I began to feel like the lady character in Michael Chabon’s Wonder Boys who attends the same writing conference year after year with a slightly different edit of the same novel. A novel which continues to be rejected, albeit for slightly different reasons. In November 2012, I decided I owed it to myself to investigate something I had been resisting. I attended the Writers’ & Artists’ Self-publishing in a Digital Age conference. It was a revelation! There, established authors who had been dropped by their publishers were rubbing shoulders with first-time writers who had released their e-book priced at 99p and had sold 100,000 copies within a year. It was a publishing revolution. So was I in or was I out? Deciding I was in, I released I Stopped Time and These Fragile Things on Christmas Day. The decision how to present the work – the designs of covers and the interiors – were all mine. As were the mistakes. (Neil Gaiman refers to Gaiman’s Law. If there’s one typo, it will be on the page your new book falls open to the first time that you pick it up.) Learning by my mistakes, I ironed them out. The following summer, I released paperbacks. The second time around, I was aware that I needed more help. I had a very limited budget but found that I was able to barter for services, using a copy editor in return for a testimonial. I also expanded on my volunteer army of beta readers and proofreaders. I didn’t need to have to chase volunteers. They came to me. In November that same year, I released A Funeral for an Owl. For my next novel, An Unchoreographed Life, I used more external services. Readers who discover me tend to devour everything I have written, so I really owe it to them to get it right. Q: Please say something about the inspiration for The Unknown Woman. An Unknown Woman is very personal to me. In 2013, I took the decision to cut back on paid work, which meant selling the car and ridding myself of a lot of material baggage. The book is in part an exploration of how our material possessions inform our identities. It begins with a couple standing in the road outside their house watching it burn to the ground. The house is very recognisably my house. As I used to work in insurance claims, I thought I knew a lot about loss. Then in February 2014, life reflected art/fiction when my sister lost her house and everything in it to the winter floods. I didn’t have to look too far from home for my research. There were several sources of inspiration, but one of them was my elderly neighbour who told me his story and said, ‘I’d like you to write about it’. His wife had very much wanted a child, but when their daughter was born, his wife was unable to bond with her. This wasn’t post natal depression, which is relatively common, but an active dislike which worsened over the years. They never acknowledged it, never spoke about it, but it was always there: the unspoken truth. My neighbour spent his married life trying to compensate, being both mother and father to their daughter. When I put pen to paper, I thought that I was putting one family under the microscope, but several of my beta readers responded with details of very similar experiences, either relating to their relationships with their children or their mothers. They were glad that it had been written about. We hold the mother/daughter relationship in such high esteem that it seems particularly difficult to accept that it’s not always easy or natural. In fact, in many cases it seems to be the very opposite. Q: Please say something about your process for writing a novel, e.g. to plan or not; getting feedback; research; editing/proofreading. Research (although I tend to read around my topic during the whole writing process). Get the words down on paper. There are many ways to do this. I rather like George R R Martin’s analysis: ‘I’ve always said there are two kinds of writers. There are architects and gardeners. Architects do blueprints before they drive the first nail, they design the entire house, where the pipes are running and how many rooms there are going to be, how high the roof will be. But the gardeners just dig a hole and plant the seed and see what comes up.’ Of the two, I am the gardener, but I am also a layer-er. Edit the hell out of your words. This will take at least as long as writing the first draft. It may well take longer. Sometime the line on which the whole plot pivots will only jump out at me on the 50th read-through. Because I am a layer-er, I often add to the word count before I start whittling it down. I aim for less than 100,000 words, but more than that, I aim to delete every single word that is not absolutely necessary. Work through issues one by one, weaving them through the entire novel. Each change will have a knock-on effect. Send out to beta readers. Work through beta reader issues one by one. Final read of book in all formats. Q: Five tips for someone writing a novel, e.g, on characterisation; plotting; descriptive passages. That said, do read Stephen King’s On Writing. You can trust him. Apparently he’s quite good. Q: You’re out and proud about being an indie. What are the pros & cons for you of being an indie? Provided that you’re realistic about your budget, there are very few drawbacks. I am able to write the books I want to write without fear of censorship. My work isn’t pigeon-holed into the category of ‘women’s fiction’ as it was for Half-truths and White Lies. In fact, I can choose to market myself as a brand if I wish. I can present my novels in the way I want to present them, without having a title change imposed on me, or what I consider to be a misleading, salacious or otherwise inappropriate cover design forced on me. The main drawback is that bookshops, who work on very narrow profit margins, are rarely able to offer terms that make it practical for me to push to get my books stocked more widely. I have managed to halve my production costs by commissioning larger print runs in the hope of tackling this in 2016. Q: What characteristics/skills are needed to be an indie author? Look at everything that a writer does. Look at everything that an agent does. Look at everything that a publisher does. Whichever of those skills you don’t have, you will either need to acquire or outsource. It’s as simple as that. There are no shortcuts. NB: That may sound daunting, but I belong to an organisation called The Alliance of Independent Authors (ALLi). Every time I have a question I don’t know the answer to, I can post in in the FB forum and there is bound to be someone who has dealt with that issue before. Reader feedback and reviews. When I can see that someone has discovered one of my books and comes back for more. Q: The Unknown Woman is better than some traditionally published novels I have read. With that in mind, what is your view of the traditional publishing business? Firstly, thank you for saying so. With each novel, I feel I owe a greater responsibility to be readers to make it the very best it can be. The view that the grass is greener is no longer true for the majority of mid-listers. Being under contract doesn’t guarantee sales, a higher income or marketing support. In fact, book sales are far lower than most people imagine. Readers tend to only hear about bestsellers, which distort the figures. 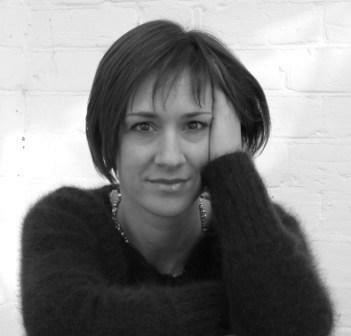 The Telegraph published an article exploring ‘Why Great Novels Don’t Get Noticed.’ In this case, the novel had been written by Samantha Harvey, whose debut had been longlisted for the Man Booker, shortlisted for both the Orange Prize for Fiction and the Guardian First Book Award, and had won the Betty Trask Award. Her third novel Dear Thief had scores of glowing reviews following its September release, yet, it had only sold 1,000 copies. Joanne Harris is among the authors who went to the House of Commons in the summer of 2015 to debate the fact that authors’ incomes have decreased by 29% since 2005. (The typical UK author is now said to earn £11,000 compared with a living wage of £16,000.) Although publishers under traditional contracts receive an advance, and have not had to incur productions costs, the percentage that they keep from sales of their books and e-books is normally 25%, while self-published authors typically receive 70%. Unlike paperbacks, e-books don’t have a shelf-life, which means that long-term earnings can be higher for the lucky self-published authors who break through. And money isn’t the only issue. At the present time, reversion clauses in traditional contracts are extremely limited. When publishers stops producing or promoting a book, the author can ask to buy the rights back, but the process is difficult and costly. The Society of Authors chief executive, Nicola Solomon, has gone on record and said that traditional publisher’s terms are no longer fair or sustainable, and has mounted a campaign for fair contract terms. In the meanwhile, she recommends that each author considers if they would be better off self-publishing. This week (the first of January 2016) has seen a huge amount of press coverage as the campaign gathers pace. This is largely due to the issue of an open letter by the Authors’ Guild (the society representing US authors) to The Association of American Publishers. The Bookseller called it the loudest call yet for publishing contract reform. Authors earnings is both serious and global. Let me stress that it is in no one’s interest for traditional publishing to fail. The danger is that there is a growing number of authors who think that the traditional publishing model is fast becoming obsolete. Literary agent Andrew Lownie’s latest prediction is that, by the year 2020, only ten percent of books will be traditionally published. And 2020 is not so very far away. Q. Where can the readeer find out more about you and your writing? To connect, visit her website www.jane-davis.co.uk Each book has its own page, with a free chapter to download, book club questions and buying options. Sign up for her newsletter at www.jane-davis.co.uk/newsletter to receive a free download of the novel, I Stopped Time. This entry was posted in Author Interviews and tagged Creative writing, creativity, indie publishing, inspiration, novel writing, writer, writing on 17 January 2016 by Kate Evans. Thanks, Jane and Kate for a really interesting post. I love your notion of fiction as made up truth, and glad you’ve found a way to stick to writing the books you want to write. Thanks for your comment, Anne. I’m sure someone worthy said there was more truth in fiction than in non-fiction! Great stuff Nikki, thank you.